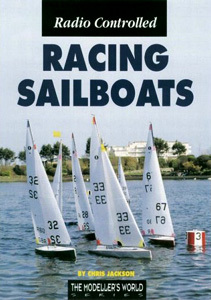 Within it’s 70 pages you’ll find everything a beginner needs to enter the wonderful world of sailing small scale yachts, from building techniques, to advice on radio equipment to guidance on sail trim. For £15.00 it’s worth its weight in gold. At Clapham we race the International One Metre (IOM), which is a great boat for the beginner to sail. As you get better you can take your yacht to other clubs further afield and even participate in National Championships or even the Worlds. But lets not get ahead of ourselves here, first you need a boat! There are three ways of going about getting a yacht, build it yourself, buy a second hand yacht or buy a new one. If you have more time than money the obvious choice is to build your own. If money and time come in equal quantities then a second hand boat would be the obvious choice. If you’re one of the lucky people with more money than time buying a new boat ready to race might makes sense. This is just a rough guide. It’s possible to make your keel, rudder and sails then buy second hand radio gear, so the price you pay can be reduced. Personally I spent in the region of £370 including books and plans, but I also invested in a professional rig that could be swapped from boat to boat as I progressed and a sail arm, rather than a sail winch. Luckily my build to coincided with Christmas, and Santa was kind enough to deliver a carbon fibre fin and ballast! Depending on the design of the boat, the equipment and of course the age, all effect the asking price It’s always worth asking at the club, sometime yachts pass between members for as little as £150. So, you’ve got enough money to buy a new boat, lucky you! OK, hulls alone start at around £450, that’s for the hull, no rig, no electronics, no fins and no sails. The hull design that the Triple Crown was based on “Gadget” is available from Housemartin Sails. But your search shouldn’t just be limited to these shores, the TS2 design won the World Championships in 2005 and a complete boat, less radio gear, would set you back over £1,300. Roughly the same price as the boats fast skinny boats from Graham Bantock and SAILSetc. So you really can see that no matter how big or small your pocket there’s a level of ownership that will suit you. But don’t despair, there is a cheaper alternative to spending thousands of pounds. The Robbe Windstar is an economical option. Competitively priced, it’s possible to get this boat on the water for £270 with everything included, all you have to do is fit it together and away she sails. If you were thinking about competition racing, as opposed to club racing, you would have to get an un-pigmented hull and paint it to conform to the IOM class rules. The Windstar would make a good starter boat, but the hull shape isn’t as fast as the expensive designs and this is reflected in the price. So you really can see, that no matter how big or small your pocket there’s a level of ownership that will suit you. If all those prices set you quivering, don’t forget you can build a competitive hull for £30. If all those prices set you quivering, don’t forget you can build a competitive hull for £30. With a little time in the evenings and weekends it’s possible to build a hull in a spare room. If you don’t have spare room or it’s taken up, then your kitchen may be your only option, but get permission first! You don’t need a vast array of tool either, the following is a rough guide on the minimum you’ll need: Electric drill/screwdriver (it’s possible with manual, but a lot quicker when it’s electric), long steel ruler, set square, chisels, tape measure, coping saw, hack saw, Stanley knife, scaple, a selection of sand paper, and emery boards (ask permission), pins pegs and rubber bands. Building your first boat in a kitchen is possible! Once you have the tools and the space needed it’s time to think about what design you’d like to build. There are many designs available from Traplet Publications. All cost between £5 and £10, however if you search the internet there are designs available for free. One popular design is the Triple Crown, designed by Clapham member Mark Dicks, this is available for download from the Model Yachting Association (MYA) website here. Lines drawings are available for free, but for a small fee, further plans and constructions detail can be purchased from the MYA, which are well worth the extra money. Another popular boat among beginners is the Nimbus, designed by Graham Bantock. With good construction plans and simple layout it’s a sensible choice for home building to start with. For the more advanced builders among you, there are four other designs to be found at www.anderswallin.net Although you will have to work out the internal structure of the yacht yourself. So you’ve chosen your design, next thing to think about is the material you make it from. By far the easiest is balsa wood, easy to find in model shops and easier to work with. It’s cheap, light and makes planking a boat a possibility for anyone willing to give it a go. Another choice would be cedar, but this is more expensive and less readily available, it makes the hull a lot stronger, and less prone to the bumps and bangs that a racing yacht goes through. If you do decide to build in balsa you’ll need to cover the whole hull in fibreglass and use either epoxy or polyester resin. Epoxy is more expensive, but stronger in strength, with SP System’s or West System’s pump measures it’s simple to measure out the correct amounts. Polyester on the other hand is cheaper, but the smell is too much to work with in a confined area. If you have a garden and a few hours without rain, then working with polyester is possible. When you’ve chosen your planking, you can then set to work on making the jig to build your hull on. The jig is a firm baseboard with shadows attached that your hull can be built on. The shadows are wooden copies of the plans of the hull. The centre line runs from front to back along the middle of the boat, and at regular points along this line, the position of the shadow are marked. The shadows then form a surface that can be planked, and your finished hull is will be upside down. By reducing the hull thickness on the shadows by the thickness of the planks, the final hull will be the same size and shape that the designer intended. When I built my Triple Crown I did this by simply printing out the plans 12 times (10 shadows and the templates for the bow and the transom or back) cutting them roughly out and sticking the paper templates with spray mount onto card. Planking usually starts at the deck line and because the hull is upside down, works up toward the keel. Time taken at the beginning is rewarded later when the planks line up correctly and a pretty hull can be achieved with a little patience. If it does all to go wrong the option of painting the hull is always available to the builder. By attaching one plank above the next with minimal gaps a sweet hull can be made simply. As the panks go further up the hull more shaping will be necessary to each plank to make a good fit. The last few planks requiring the most shaping, and they won’t look like planks, but slithers of wood to fill in final gap. With the hull roughly finished, there will still be ridges where the planks didn’t join up neatly. This is unavoidable unless you really take care, so by gluing a piece of sandpaper onto a piece of flexible wood (about 5cm x 30 cm) the hull can be sanded avoiding flat spots. If using balsa wood you should wear a mask, as the dust gets everywhere and is bad for your lungs. Once the hull is smooth with no lumps or bumps, the outside of the hull can be epoxied using a little light-weight filler mixed in with the resin to fill in any pin holes or gaps between the planks. This epoxy covering also stops the balsa wood absorbing too much resin when protecting it with fibreglass cloth. After a little light sanding to smooth the epoxy coat and make it better for the epoxy to adhere to, it’s time to add the first coat of fibreglass. While the hull is still attached to the jig it’s a simple job of laying the fibre glass over the hull and then wetting it through with the epoxy resin. “Wetting it” is just simply dabbing it with a brush until no bubbles or voids remain. It will take about 15 minutes to do this over the whole hull, an old credit card or stiff cardboard can then be used scrape off all the excess resin. This will save weight and time sanding the hull down. Depending on the weight of fibreglass used it might be necessary to put another layer of glass on the hull to strengthen her even more. When the hull has cured, it’s best to leave it for 24 hours before you start sanding it down. Starting with 180 grade wet paper, sand down the hull removing any runs or bumps of resin, then progress to 240, 400 and 800 until the hull is completely smooth. When sanding down the hull, take care not to sand through the covering layer of fibre glass, otherwise you’ll have to repair then repeat the process again. The smoother your hull, the faster her potential speed. Once the outside is smooth, it’s time to remove your hull from the jig. Unscrew the shadows from the baseboard and turn the hull the right way up. This will be the first clear look you’ll have had of your hull. Remove the shadow by gently twisting them. Using a scaple, tidy up the deck line, by trimming the excess fibreglass. Sit down, and admire the hull you’ve just made from scratch. With the hull finished it’s time to start fitting it out, by adding supports within the hull it adds strength to the hull and deck. It’s also a good time to order your sails, some manufactures have a waiting time of several weeks. If you want to buy a fin and bulb now’s the time to do it. It’s possible to make the fin and the ballast, but it’s a lot easier to by one. The supports are usually incorporated into the keel box which supports the stresses transferred from the fin while the yacht sails. Without a keel box there would be nothing supporting the fin inside the yacht and also nothing stopping the water entering the boat! The keel box also supports the mast box which adds support the mast. With the mast and fin positioned in close proximity to each other it’s simple to see that the mast/keel box is central to the internal structure of the yacht. Make the keel box a snug fit for your fin, so it supports it well. With the keel and mast box made, it’s time to cut a hole in your finished hull. Cut a hole to closely match the profile of your fin, and also drill a hole for the rudder. After spending the time making a good hull, take time to make the holes in the right place. It’s now time to think about where the radio equipment will be situated. Also the type of winching system must be carefully considered. There are two types of winching systems, both control the mainsail and the jib simultaneously. The first is the cheapest, and that’s using a drum winch. A drum winch has a circular drum, which rotates either pulling in or easing the sheet out. Although not the quickest method it’s cheap and works well. The second winch system is using a sail arm. Rather that a rotating drum the sail arm is, like it’s name suggests, a long (12cm) arm that pulls the sheet it, or lets it out. It’s a more expensive option, but what you spend in money you gain in speed. Although sometimes they can be a little over sensitive, the results are almost instant and very precise. Now is also a good time to think about your rudder and position of your steering servo. So with room left for your chosen sheeting system and radio equipment, you can start thinking about the deck layout and rig. If it’s your first build you can buy rig kits from a number of suppliers and with your rig dimensions you can think about the mainsheet post, jib sheeting positions and running gear for your sheets. This will depend on the sheeting system you’ve chosen and the design of yacht you’re building. The position of your equipment will also dictate where you cut the access hole in your deck. Don’t forget to allow room for your deck fittings and enough deck space for the deck patches to adhere to. Make sure that it’s possible to remove all the electrical equipment through the deck when it’s finished. All that has to be done now is to fit the deck and coat it with varnish or epoxy to make it water proof. You should now have all the parts to complete your yacht, so by assembling together and weighting it you can see whether you need to add or reduce weight. The former would be far more desirable because it’s easier to add it than take it out of a finished boat. With you yacht complete it’s time to take it to your local club and become a member. You’ll also be able to pick up tuning tips from other members who will help you set up your yacht for racing. After a few weeks, you’ll notice an improvement in your sailing and the results you achieve. When you are happy with your yacht it’s time to get her registered and then measured, then you’ll be able to race anywhere that will allow you. Mike G. Isle of Wight. I’m glad you’ve found it interesting. I basically wrote the site so others could find the information I was looking for when I started…It took quite a lot of work and research to get it going, but I’m happy you’ve both found it worth while. Hi Graham, love your web site….thanks. Have almost finished planking my Vektor and was wondering what weight fibreglass to use on the hull? Did you use 105,207 & 407 West System? I read on Anders site about an Aussie that added MEK to the epoxy, do you know what this is? Thanks for any help you can offer. I hope my Vektor looks half as good as your Triplecrown. I started off with two coats of 1/16oz cloth…but after getting damaged, I re laid her up with 2 coats of 1/8oz cloth, and I still have corrector weights in the hull because she’s very light. So you could go for 3 coats of 1/8oz and she should be sturdy enough to race competitvely. Epoxy wise I used SP Handy pack (two bottles with measured pumps (it has a slight yellow colour to it), and added some acetone to thin it out and give better coverage/wetting of the cloth….then I used an old credit card to scrape off the excess resin, and sanded down between layers. Nice work and very usefull information. Thanks for sharing. I would like to build a similar kind of boat. One big question that I have concerns the sails. I supose that is not just “to cut a triangle”. How do we curve the sail surface? Where can I find detailled information? Can anybody help with a detailed drawing of how to rig a IOM. Have built a mimbus III hull that sits great in the water. Have sails and mast etc, having difficulty with getting all together with servo winch. I have recently built a 750mm Racing Sparrow (www.racingsparrow.co.nz) and found it a great introduction to building you own radio controlled yacht. I’m now ready to build a IOM and like the look of the Triple Crown, and wondered if you would know where I could buy the plans. I am thinking of being a boat builder when i leave the school. just started building my first yacht the “Triple Crown” just to see what building boats is like really enjoying it. This webpage is really good helped me a lot with my new project. This is probably one of the best sites I have seen yet. I have just completed my very first scratch built Nimbus MKIII and I wish i had found this site earlier. All the comments have been great and helpful. Terry, Thank you for you compliments, I don’t have pics of the keel box and deck going on…By that time I just wanted to get the boat finished. I got the Triple crown plans which give a guide to how to build and fit the internal structure. Thanks for a very nice Piece. Will now have a go at building a tripple crown. I am currently building a 1/12 model of a cruising racing cat 50´x34´ which I want to sail and evaluate. I am having a problem finding all the necessary rigging components. Can you kindly point me in the right direction. Hi there it’s me, I am also visiting this site regularly, this web page is truly good and the visitors are truly sharing nice thoughts. Thanks on your marvelous posting! I really enjoyed reading it, you’re a great author.I will always bookmark your blog and will often come back someday. I want to encourage you to definitely continue your great writing, have a nice evening! ROCK! I found simply the information I already searched all over the place and just could not come across. What a great website. I can see that this site has been running for a few years but the link to the MYA for the triple crown plans does not now work. Are the plans available from a different source? I have built a Racing Sparrow 750 which is good fun to sail and would now like to step up to a recognised racing class that does not cost too much to build. I wonder how much attempt you place to make this kind of wonderful informative website. rehashed information. Wonderful read! I’ve saved your site and I’m adding your RSS feeds to my Google account. Hi there to every one, it’s actually a good for me to go to see this web site, it contains useful Information.